← Stella McCartney does kidwear! Today is the last day of January, which means we have 14 days to plan for Valentine’s Day. I was never really a big fan of Valentine’s Day but as soon as I started dating my husband, he changed my mind. I can still remember the first Valentine’s Day we spent as a couple. He pulled out all the stops after I spent the afternoon undergoing a root canal. Dinner, candy, lingerie, flowers, music. So I thought I might pull out the stops this year and by this, I mean I might get out of my little black sweats and into something a little RED HOT! I think something along the lines of this little red dress might do it, don’t you? 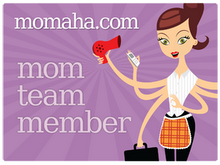 Thank you for thinking of and contacting me regarding an Omaha blogger group. It sounds like a really cool idea however, I am unable to commit at this time. I feel like I am spread pretty thin already as I am a stay-at-home mom and write a weekly column, as well. I will keep your contact information, if I feel that I can free up some time at a later date. Thanks again and best of luck!